Question #59: What are the three tenses of salvation? Relate these to penalty, power, presence. 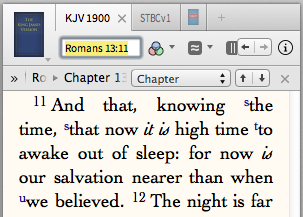 3) Future – salvation from the presence of sin (Rom 13:11; 1 Thess 5:8, 9; Hab 1:14; 9:28; 1 Pet 1:3-5; 2:2; 1 Jn 3:1-2). The tenses of salvation also properly relate to (respectively) justification, sanctification and glorification.